The Labour leader finally responded to multiple accusations of anti-Semitism in a newspaper article,but was criticised for appearing to lift two key passages from a previous article he published in April. 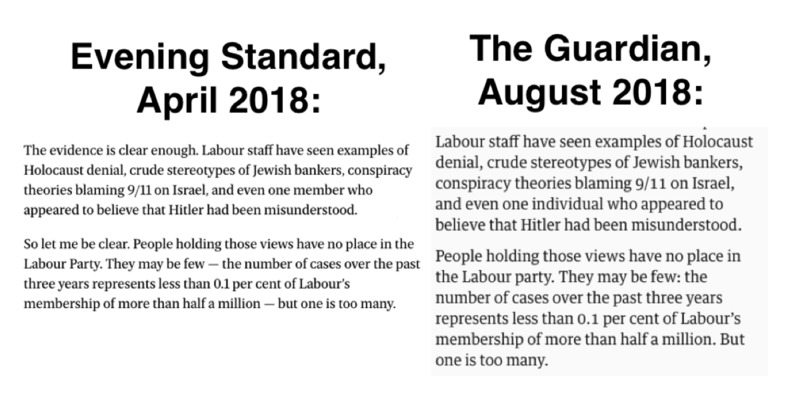 Two passages from the Guardian piece published on Friday are almost identical to ones published in an Evening Standard article. Critics also pointed out that Corbyn timed the article to be published online on Friday evening for a Saturday newspaper, meaning that observant Jews – who are bound to observe Sabbath – would not be able to engage with the article until Sunday. LONDON – Labour leader Jeremy Corbyn appears to have copied-and-pasted two passages from a previous article he published in his latest apology for anti-Semitism within the Labour party. 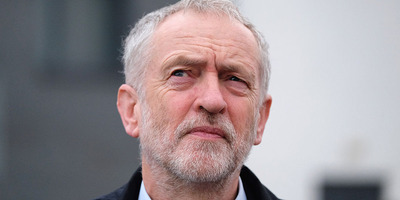 After a week of allegations of anti-Semitism, the Labour leader finally broke his silence on Friday afternoon and published a piece in the Guardian newspaper in which he pledged to “driv[e] antisemitism out of the party for good” and rebuild trust with the Jewish community. 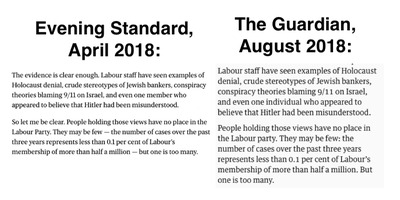 Parts of the article bore striking similarities to a previous article on anti-Semitism which he penned for the Evening Standard in April, however. Critics said the behaviour reflected the Labour leadership’s lax attitude towards allegations of anti-Semitism. “Corbyn’s article is literally just copied and pasted from one in April,” said Oliver Cooper, a Conservative councillor in Camden. The Labour party was contacted for comment.